My goal as your private doctor is to partner with you to create a personalized healthcare plan to effectively treat your current health problems and prevent new ones. 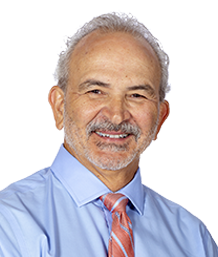 In my MDVIP-affiliated practice, I will provide you with a unique combination of medical care and personalized service rarely seen since the days when my father practiced medicine. This will be achieved through a collaboration between myself and each of my patients as we seek to achieve optimal health through early detection, wellness and individualized attention in order to get you on a path to a healthier, happier life. With more time to assess and educate, I can identify and possibly prevent potential health risks before they escalate into something more serious. I am passionate about medicine and eager to get to know each of my patients in an even more comprehensive, individualized way. I have over 32 years of experience serving the Tampa Bay area. My primary care practice, oftentimes referred to as concierge medicine, will utilize the advanced, comprehensive screenings and tests in the MDVIP Wellness Program focusing on all areas of health including diabetes prevention, heart health, bone health, fitness and nutrition. My areas of focus include managing hypertension, cardiovascular disease, diabetes, weight loss and preventive medicine. Additionally, I have established strong relationships with leading specialists in the community, which enables me to better manage your healthcare needs. I am affiliated with St. Joseph’s hospital. Hablo español! Awesome Doctor and staff! Who are always available and cheerful. I received a complete unhurried examination with a complete explanation of every detail! I could not be more pleased. Follow up appointments and tracking of my needs has been a seamless process. I really appreciate the professionalism blended with personal attention that I am receiving through Dr. Duany's care.